From Noxian plots to pajama parties, 2018 was a year for stories. And we’re just getting started. Happy Snowdown! 2018 is rapidly coming to a close, and I thought now might be a good time to take a breath and recap what stories we were able to share, what we learned, and maybe take a little peek at what we’re thinking about for 2019. Our goals in Narrative this year were pretty simple; we wanted to tell more stories that would help us get to know our champions better, explore our world, and answer some long-standing lore questions, all while trying to listen and communicate better inside and outside of Riot. 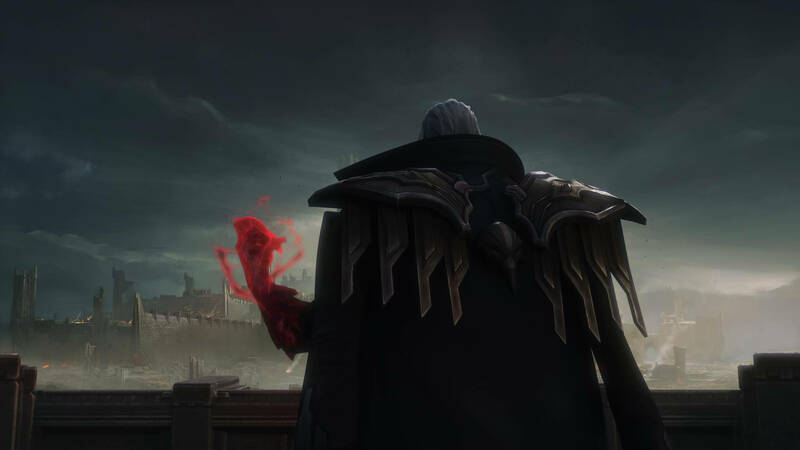 Starting with the stories of Swain, Darius, Katarina, LeBlanc, and even Annie, we got an understanding of the strength and aspiration needed to survive in the ever-expanding empire of Noxus. However, as with most political intrigue that involves life and death consequences, even the most well-intended plotting can blow up in your face. We then traveled south, far across the Great Sai of Shurima, to uncover the Void, an unspeakable corruption that felled a city and its people. Through the stories of Kai’Sa, Kassadin, and Malzahar, we got a better look at what happens when mortals get a little too close to this unknowable abyss—and if you can ever truly come back from it. Seeking a more balanced view on the world, we were drawn in by the natural magic and harmony of the continent beyond the Guardian’s Sea. However, we soon discovered we weren’t the first to reach the shores of Ionia. 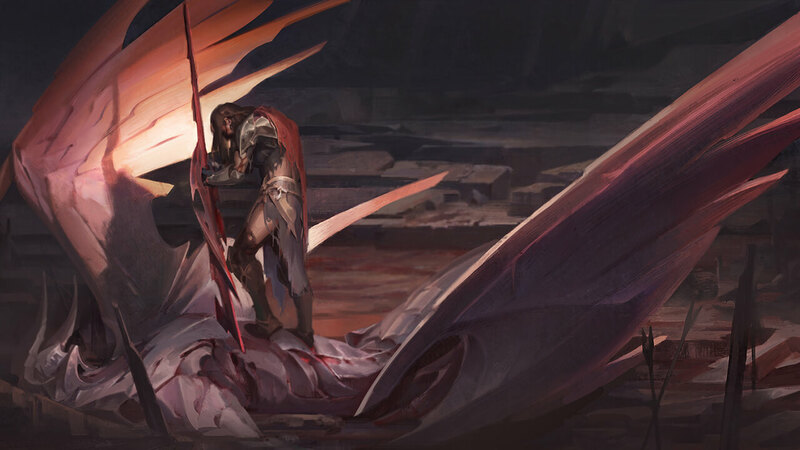 Through the stories of Irelia, Karma, Lee Sin, Yasuo, and Riven, we witnessed firsthand the indelible mark the Noxian invasion left on the the people of the First Lands. We learned more about the spiritual wisdom and search for balance that flows through much of Ionia. With Riven and Yasuo in particular, we saw that sometimes we must be broken to be put back on the path to our inner truths. On our way back to the mainland of Valoran, we stopped for a few sailor’s stories in the (debatably) safe harbor of Bilgewater, and were dragged down into the deep by the tales of Pyke, Nautilus, and Fizz, only to have our luck run out with ol’ Tahm Kench. While the River King has plenty of accounts of mortal greed and avarice, it wasn’t until we heard the story of Aatrox and the Darkin that we understood the lust for godly power as the cage it truly is. While the Ascended sun has set on most of the Darkin, Varus and the Rhaast-wielding Kayn still stalk the world, and the whispered legend of the Darkin stirs on the lips of more than a few Runeterrans. 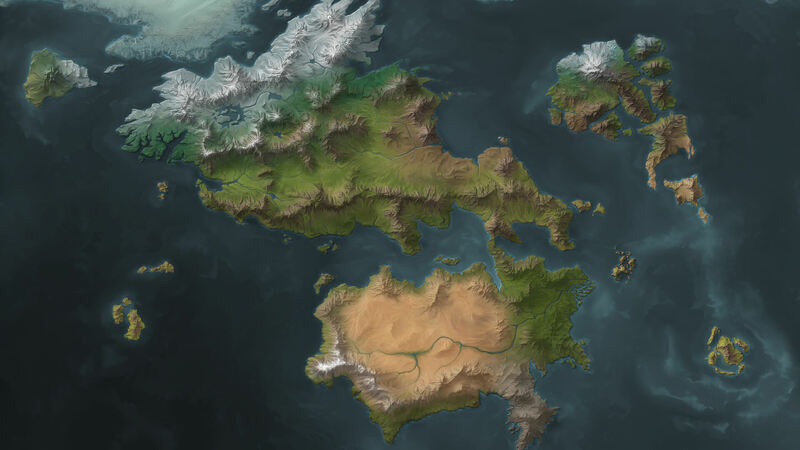 Speaking of Runeterra, we finally got a good look at the world! To better understand some of these places, we turned to one of our most experienced travelers, Ryze. We followed our favorite violet, rune-weary mage across continents, from the frozen tundra of the Freljord to the arid sands of Shurima. We learned he’s found and buried more than a few magical secrets from the past, including his hotheaded apprentice-turned-enemy, Brand. As always, when new information comes to light, some of the younger generation begin to ask questions and rebel against what they were taught. The student and teacher stories of Akali, Shen, Zed, Master Yi, and Syndra offered differing dreams on how Ionia could regain its balance—and in the end, we found we all have something we can learn from each other. Youthful curiosity and imagination aren’t limited only to the First Lands. In the north, the icy wonders of the Freljord still inspire the myths and songs of today. However in the stories of Nunu & Willump, Lissandra, Gnar, and Vel’Koz, it would seem those who watch would do well to keep an eye on certain histories that are defrosting quicker than others. What seem like tall tales often ignite a hunger in many adventurers to know even more. We have also found there’s one adventurer who’s pretty sure he knows everything. While Ezreal has learned enough to prepare for most situations, it is his “acquired” Shuriman gauntlet that has certainly helped him “acquire” more than a few other priceless Runeterran artifacts to sell to interested collectors. Ezreal’s not the only one to benefit from ancient history; both Lucian and Kassadin carry relics from the past to help them fight the nightmares of today. And darkness is rising in the world. The stories of Nocturne, Vladimir, and Veigar show us that evil will always lurk just beyond our door, waiting to be reborn through attraction or fear… Though sometimes those ghastly beasts just need to be brought under the torchlight for us to make proper use of them. After exploring so much of the world, it’s tempting to think that there’s nothing new to discover. With the arrival of Neeko in the eastern jungles of Shurima, we’ve found that’s definitely not the case. The stories of Nidalee, Zyra, and Rengar paint this region as a dangerous gateway. We’ve only just begun to explore, but already we can see each tenuous outpost holds back secrets that are just as alluring as the land is dangerous. We didn’t limit our story travels to just Runeterra though. We’ve given our alt-universes some love as well. We followed the Man with the Grinning Shadow on a wild and deadly chase through the frontier of High Noon Gothic. We were lured into exploring distant planets in Odyssey. 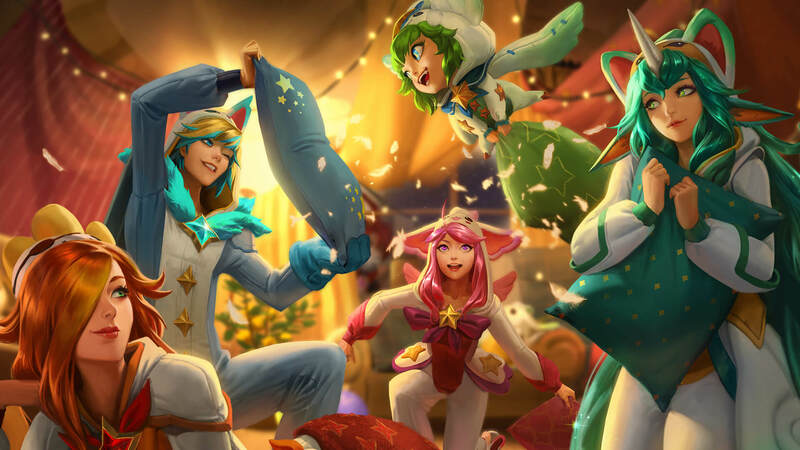 We even attended a Star Guardian sleepover! But that’s not all—since the beginning of the year, we’ve updated bios and alternate universe information on over 600 skins on the client. Whew. It’s been quite a journey so far! What else did we learn this year? Personally, I’ve always found that the stories that work best for me are the ones that tell me something I actually want to know more about. I hope this year we’ve shown we’re listening to what you want to learn about in Runeterra, while also sharing how we think and work as developers. We’ve covered questions like when, why, and how we update a champion’s story, what goes into making a champion bio, and even how we name new champions. We’ve tried to balance heads-down work time with popping in on the boards, Reddit, and Discord for conversation and feedback. We’ve even journeyed beyond our keyboards into the wilds of the real world to talk with players. Through all of this, I hope we’ve shown we’re most definitely human—and as humans, recognizing when we make mistakes (cough, cough, Karma) and fixing them. So what do we have planned for 2019? 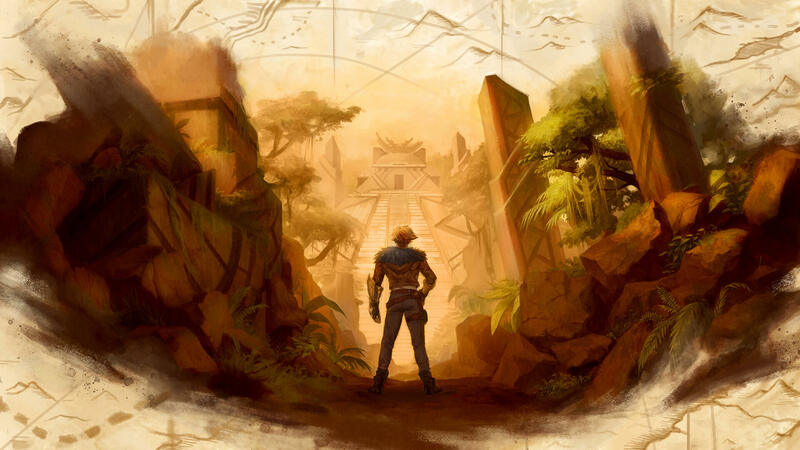 Our primary mission is to continue taking Runeterra to the next level as a story world—to create a deep and immersive place that every champion (and all of us as well) can find a connection to. To get us there, we’re going to keep releasing more stories and experimenting with new mediums to tell story in. While we’ll keep clarifying what’s missing or confusing, next year we plan on showing different sides and deeper nuance to the characters and places we all know and love (hopefully filling in some more empty spots on the map). Most importantly for some of you out there, we’ll keep moving the stories of Runeterra forward. WHAT ABOUT SORAKA? WHAT ABOUT YORDLES? No, we haven’t forgotten about them. 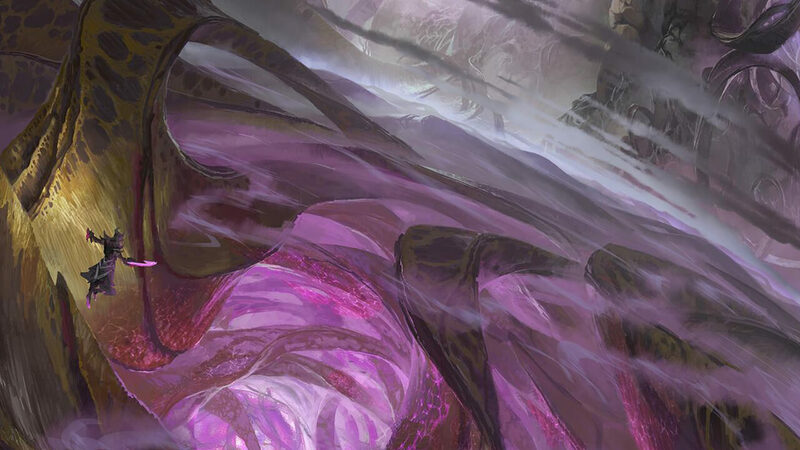 In fact, we’ve been thinking a lot about them, and how magic works in Runeterra, as we prepare for 2019 (hint, hint). Still, some stories can’t wait. It wouldn’t be right to close 2018 without giving a little bit more about our beloved Starchild and our more pint-sized magic folk. If there any questions, places, or champions you think we should be showing more love and attention to next year, please be sure to let us know in the comments section below. We’ll be back very soon to talk about the different media where you can expect to see these stories unfold. With that, I’d like to offer my sincere gratitude. Time is the one thing we give each other that we can’t ever get back. Thank you for spending some of your story time with us, and here’s to even more magic and adventure in 2019!